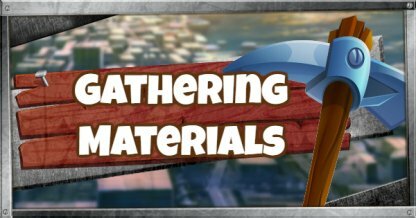 Learn to gather building resources efficiently! This guide includes the different building materials to craft building, their features, and where you can farm them! 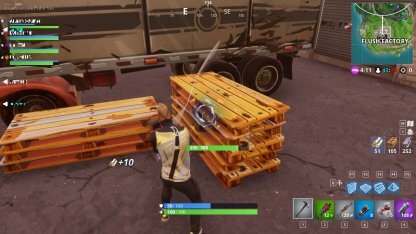 Materials (also known as Resources) are primarily used in building structures in Fortnite. Wood is the most abundant of the three available resources. 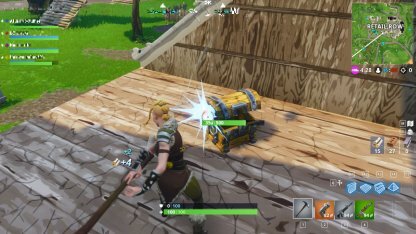 Wooden structures are the fastest to build but have the least amount of hit points. Where can you get wood? 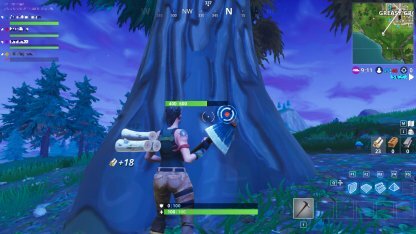 Trees are the most common sources of Wood and can be found almost anywhere on the map. Available in towns and scattered around the map. Usually surrounding houses, they break easily so materials can be gathered quickly. 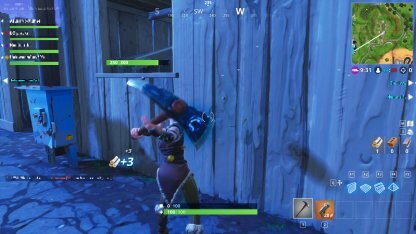 These can be broken quickly for Wood. 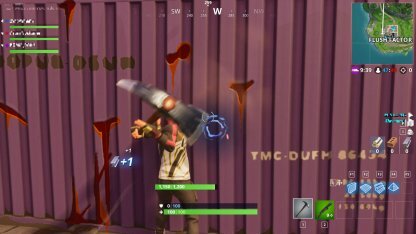 Keep an eye out of wooden pallets when you encounter them. They break with a few swings and give a LOT of wood! Stone is the "middle ground" of the three available resources. 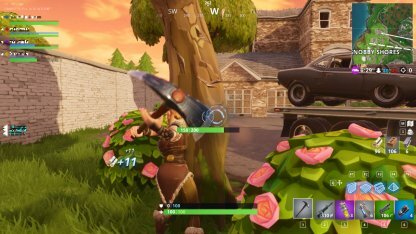 Stone structures are moderately quick to build and have moderate amount of hit points. Where can you get stone? Stone is a common building material for structures found in towns. 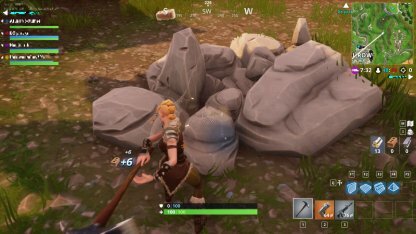 These are scattered around the map and not as common as stone structures. Metal is the most durable of the three available resources. 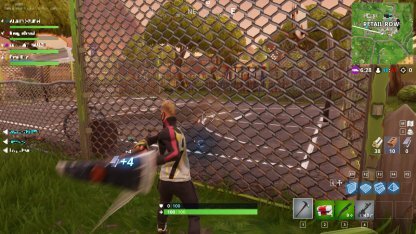 Metal structures take longest to build and have a high amount of hit points. Where can you get metal? Vehicles is the most common source of metal as they're available in almost all areas. 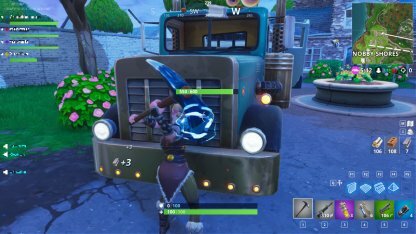 Quick sources of metal as these have low durability. These are most commonly seen in industrial areas. 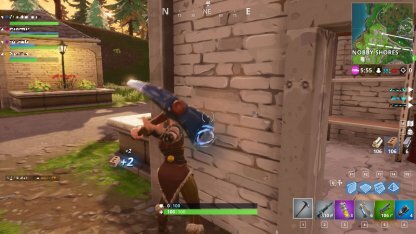 Aiming at the blue target will destroy the target faster and yield more materials per strike compared to just hitting in a single location. 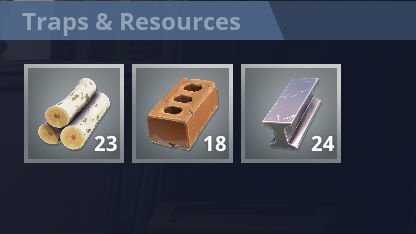 Supply Llamas yield a large amount of building materials. 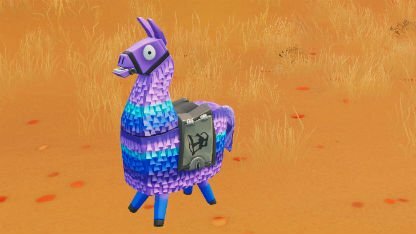 Learn More About the Supply Llama! 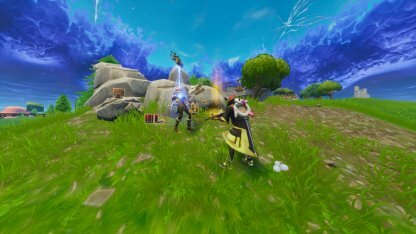 Pick up building materials dropped by players who have been eliminated from the match! 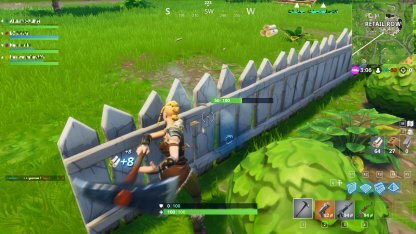 At the start of the match, immediately land at a location where the building material you want to gather is abundant. 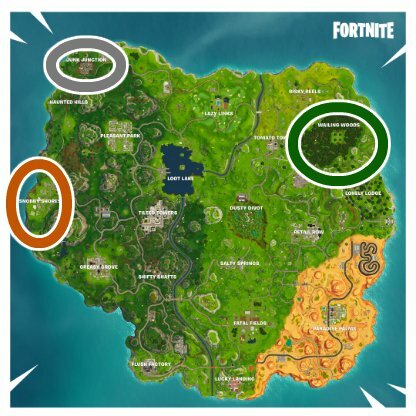 Suggested locations are Wailing Woods (Wood), Snobby Shores (Stone), and Junk Junction (Metal).